THE FAMILY of slain mother Julie Hutchinson have told of their emotional journey to the roadside dumping ground where their loved one was found as they prepare for a proper burial. 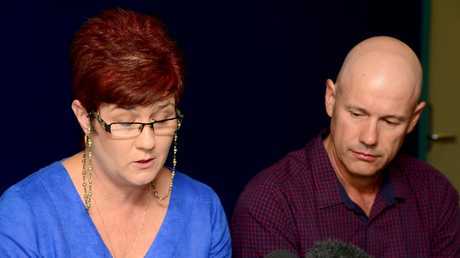 Julie's sister Christine Teitzel bravely fronted the media on Wednesday as police confirmed human remains discovered at Hervey Range on August 25 were that of the Condon woman whose husband Michael Geoffrey Hutchinson was convicted of her manslaughter. "This past week has been harrowing and our lives have been tipped upside down once again," Mrs Teitzel said. "We have spent many hours waiting for confirmation that the remains found up at Herveys Range Rd are those of our Jules. 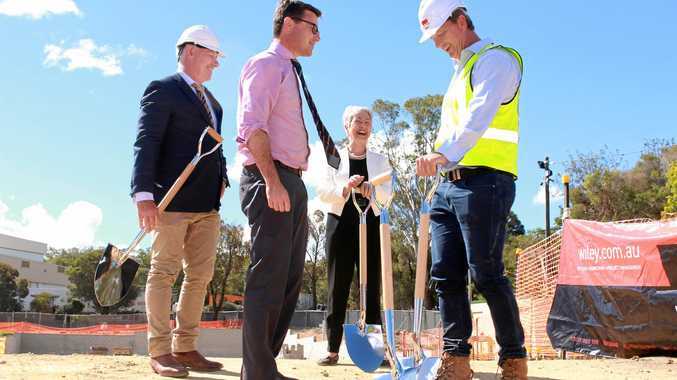 "Yesterday (Tuesday) our immediate family along with Julie's two boys took the sombre journey to the location where Julie's remains were discovered. "We were confronted with the reality of what took place during that terrible time, realising her body was dumped without a grain of humanity." Mrs Teitzel said words could not describe the emotions her family felt to learn that Julie had been discovered, three and a half years after she reported her sister missing. She thanked police, family and friends for their ongoing support and efforts through that time, noting investigators determination to find Julie's remains. Mrs Teitzel saved her final thanks for the 40-year-old man who discovered Julie's skeleton on August 25. "To the person who found our Julie, we will be forever grateful," she said. "If it wasn't for your thoughtful actions you took on that day this moment may never have been possible. "We are now able to lay her to rest with the respect and dignity she deserves." Christine Teitzel with Larry Beraldo, the sister and brother of Julie, said they would now be able to lay their sister to rest with respect and dignity. 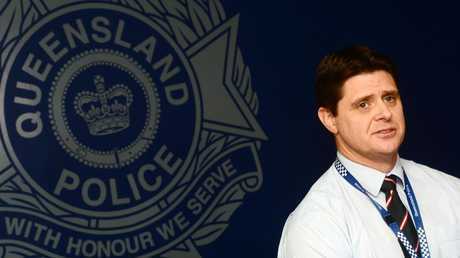 Townsville Crime Services Group detective acting Inspector Phil Watts said now the family had some degree of closure it was the right time to put this case to rest. Insp Watts said a post mortem investigation was conducted on the skeletal remains but that failed to provide any evidence that would determine a cause of death. "We really have no further lines of inquiry we can run out," Insp Watts said. "Obviously we would like to give (the family) all the answers we could but there really is nothing further to be gained. "(Michael Hutchinson's) matter has been finalised … he's been sentenced for her death, for the manslaughter of Julie." Detective Acting Inspector Phil Watts said a post mortem investigation was conducted on the Julie Hutchinson’s remains but that failed to provide any evidence that would determine a cause of death. Insp Watts praised investigators whose hard work led to the conviction of Michael Hutchinson despite there being no body. "The work done to be able to convict Michael Hutchinson for causing Julie's death is quite remarkable," he said. "I'd like to extend the heartfelt sympathies of the whole investigative team to the family. "Losing a loved one under these circumstances must be terribly traumatic and a wound that never heals. "To have found Julie and to give (her) back to the family is priceless for us."